Mongolia is a landlocked country in east-central Asia. It is bordered by Russia to the North and China to the South, East and West. Ulaanbaatar, the capital and also the largest city, is home to about 45% of the population. Mongolia's political system is a parliamentary republic. 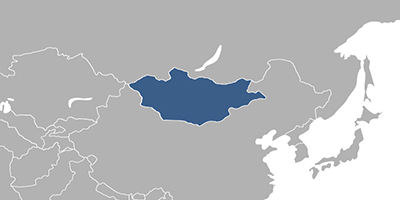 At 1,564,116 square kilometres (603,909 sq mi), Mongolia is the 19th largest and the most sparsely populated independent country in the world, with a population of around 3 million people. Fees associated with registration of IP rights in Mongolia are available in the fee calculator. Please contact us if the above information contains any discrepancies with Mongolian IP Laws.